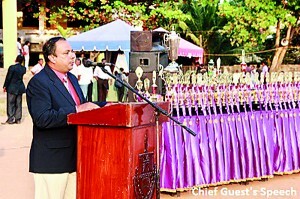 Robert House, with a stupendous overall display, emerged champions at the 83rd annual Athletics Championships of Holy Cross College Kalutara, which was held on February 2 at the college grounds. The victorious Robert House accumulated 273 points and overcame the threat posed by Herald House, who finished second with 244 points overall. 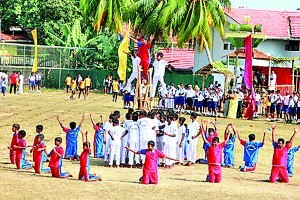 Briton House, with 197 points, came in third overall, followed by Croos House, who finished close behind with 182 points. 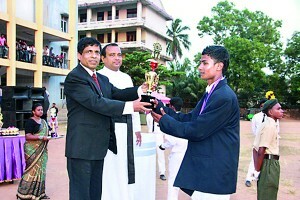 Attorney at law, Lasantha J.Mudalige, an outstanding allround sportsman produced by Holy Cross College and Mrs. Mudalige were the event’s Chief Guests, with Bernard Wasantha, former public schools’ athlete and presently Secretary to the Ministry of Sports of the Western Provincial Council, being the Guest of Honour. 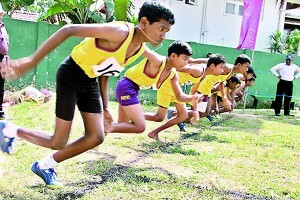 There were some outstanding performances from the young athletes who competed keenly, vying for top honours and a chance to lift their respective houses to the top. 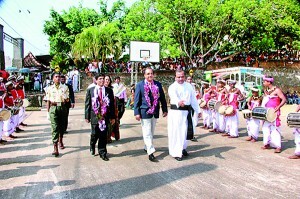 The meet was well-organised with the leadership and guidance of the Rector of the school Rev. Fr. 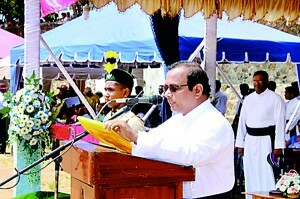 Dr. Camillus Fernando.